On 14 November 1916, in the main courtyard, the Prince of Connaught, member of the British Royal Family, decorated French General Balfourier. 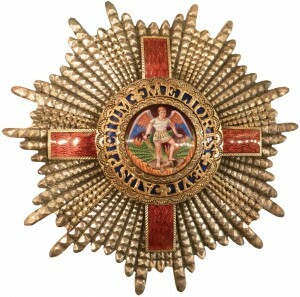 He has just placed the chain of the Order of Saint Michael and Saint George around his neck. On this same day, the Prince of Connaught also awarded the Military Cross (MC) to several French non-commissioned officers. The table standing behind the prince enabled all the decorations awarded during this ceremony to be prepared. In the background are two rows of infantrymen, standing to attention, with fixed bayonets. They are still wearing the 1914 kepi with the blue kepi cover. 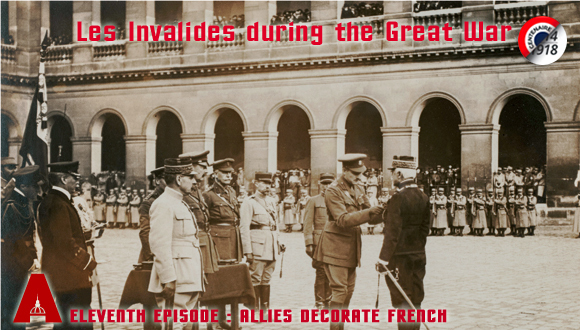 The Allies substantially increased the number of military ceremonies which enabled them to assert their good relations and their mutual respect to the general public. 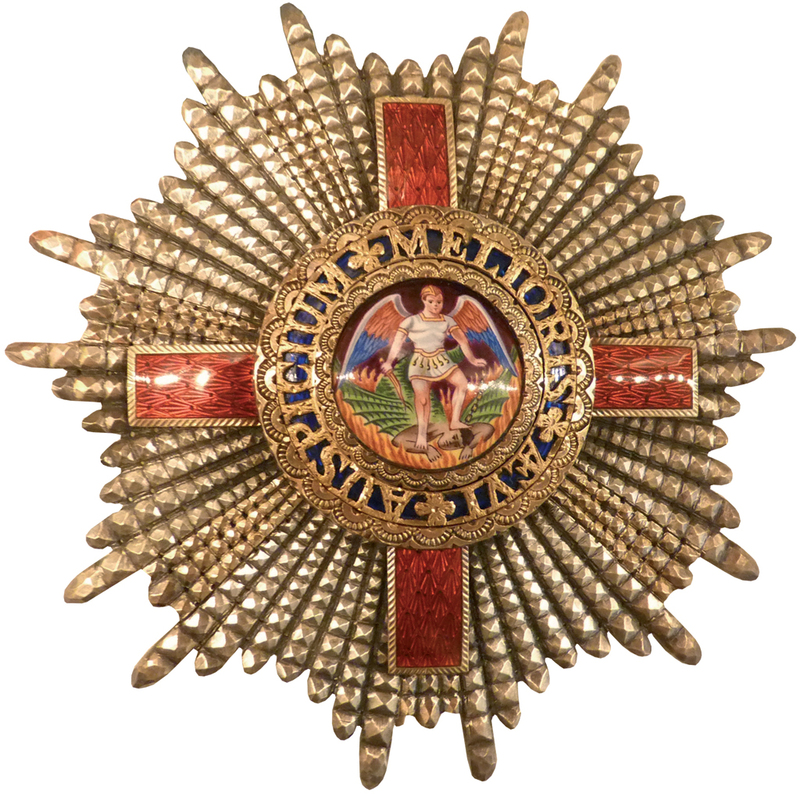 During the First World War, the Order of Saint Michael and Saint George was an honorary order awarded by the British outside the United Kingdom. 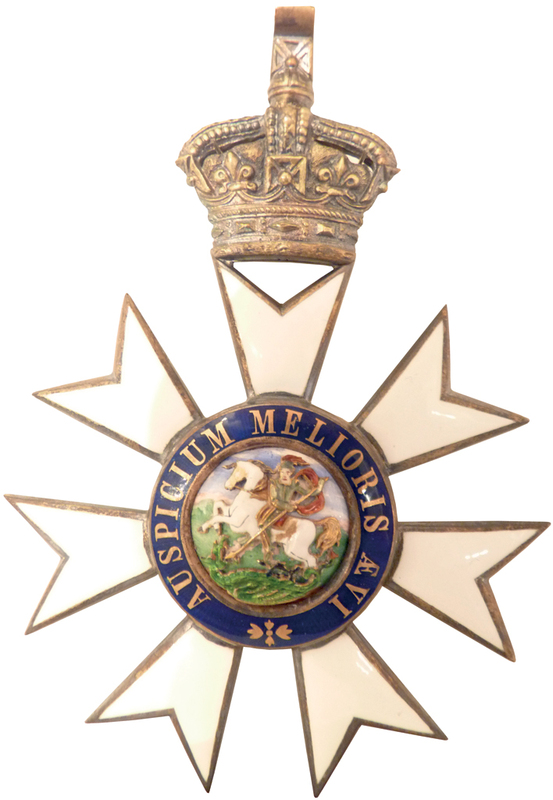 The Military Cross (MC) was created on 28 December 1915 by King George V (1865-1936). 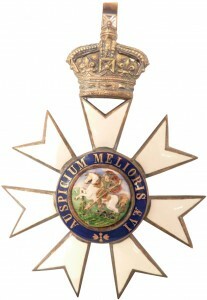 Originally it was awarded to junior officers with a rank no higher than the substantive rank of captain, or to higher non-commissioned officers, in recognition of distinguished and meritorious service in the field.